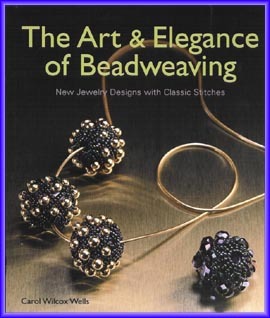 On chokers, chains, ribbons, ropes, jazzing up a basket, adding texture everywhere: you can't have too many beads! The selection is ever-expanding, with beaded clothing, lampshades, belts, and pillows. And off-loom bead weaving is both simple and beautiful. A leader in the field shares her enthusiasm, going through the basics and on to more challenging projects. Decorate purchased beads to personalize them, if you'd like, and then weave a three-bead spiral bracelet, twisted ribbon Ndebele necklace, napkin rings, and more.